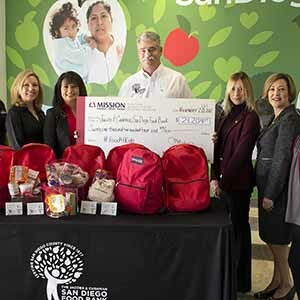 At Mission Fed, our mission includes giving back to the San Diego community. We do this through strategic partnerships with local educational and other nonprofits, financial education for all ages and community events. Explore this section to learn more about our community involvement. Change: Mission Fed in the Community video on YouTube - Description: The speaker is a Mission Federal Credit Union employee and is standing in a Mission Fed branch. Throughout the entire video, they address the camera directly. Please use the YouTube captions functionality to access an alternative to the audio portion of the video. This high-tech facility for high school students takes “reality-based” learning to a new level by placing students in authentic, real-world scenarios, where they take control of their financial decisions. At Mission Fed JA Finance Park, students have an opportunity to discover a place where they can imagine who they want to be, receive hands-on tools and skills to plan for a financially secure future, and explore effective life choices. In addition, Mission Fed is one of the businesses at McGrath Family JA BizTown for elementary school students, where each student (or, citizen of the town) has a job for the day, participates in business and town meetings, gets paid, manages a checking account and more. Mission Fed partnered with the San Diego Zoo and Safari Park for Kids Free in October. Children ages 11 and younger receive FREE admission to both the Zoo and Safari Park all month long. Our sponsorship allows all children and San Diego schools to enjoy educational field trips to the San Diego Zoo and Safari Park without having to spend valuable funds from their budget. During the school year, in partnership with 105.7 MAX FM, Mission Fed’s MAX Out My Class recognizes the dedication and passion that teachers devote to their students’ future. Every Tuesday, the radio station’s crew and Mission Fed visit a K-8 school to award a classroom a $200 gift card and an on-air interview focused on the teacher and their students. Mission Fed is excited to serve as a sponsor of NBC San Diego’s “Inspirational Student of the Month,” a program that allows us to recognize outstanding individuals at high school campuses all over our community, starting in March 2017. These students not only excel in their curriculum and demonstrate leadership, but also go above and beyond to improve their school and community’s environment through service, philanthropic efforts, personal values and positive influence. Mission Fed partners with Girl Scouts San Diego and their mission of building girls of courage, confidence and character who make the world a better place. Our partnership promotes financial education through programs such as Mission 2 $AVE and the cookie sales program, where Girl Scouts in grades K-12 learn financial literacy and earn their “Money Madness” Financial Literacy patch. Mission Fed’s ongoing support of education in San Diego includes partnering with NBC 7 and San Diego public libraries to ensure that children have access to books throughout the summer season. Books are then dispersed to under-privileged areas to help teachers and parents in their efforts to promote continuous learning and ensure children do not lose critical components of their reading proficiency over the summer months. Through Mission Fed’s sponsorship of The New Children’s Museum education programs, over 12,000 children from San Diego County Title One schools will have access to art-making experiences and cultural enrichment during their no-cost visit. This type of exposure leads to gains in critical thinking, collaboration, optimism, problem solving, creativity and confidence and empower children to achieve academic success and encourage them to explore creativity and innovation. Mission Fed has partnered with the San Diego County Fair in appreciation of public and private school employees from K-12 and colleges and universities in San Diego County. To thank these employees for the wonderful work they do in the community, Mission Fed supported School Staff Appreciation Days at the San Diego County Fair, offering employees discounted tickets on education focused fair days. Southern California’s largest fine arts festival and cultural event in Little Italy offers a weekend filled with art, music and food, as well as interactive activities for families at KidsWalk. The open air “gallery” showcases the work of over 350 visual and performing artists from the US, Mexico. 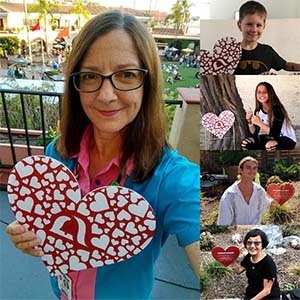 ArtWalk activities help to support the mission of ArtReach San Diego, the not for profit organization that takes high quality visual art workshops into San Diego County K-6 schools, offering free programming to schools with no resources for art education. Mission Fed serves as a sponsor of the San Diego Padres Reviving Baseball in Inner Cities (RBI), a Major League Baseball youth outreach program. The program is designed to increase participation and interest in baseball and softball among under-served youth, encourage academic participation and achievement, promote greater inclusion of minorities into the mainstream of the game, and teach the value of teamwork. Throughout the month of September, Mission Fed is proud to support the fight against childhood hunger by partnering with ABC 10 and The Jacobs & Cushman San Diego Food Bank on their Food 4 Kids Backpack Program. This program provides weekend backpacks of food to over 1,700 elementary school students living in poverty who receive free meals at school, but face hunger at home over the weekend when free school meals are unavailable. Last year, our efforts totaled over $22,000, funds which enabled over 110 kids to receive food over weekends for an entire school year and help break the cycle of poverty. Mission Fed is proud to support the fight against the number one health threat to women: heart disease. As part of our partnership with CBS Channel 8 on their 2017 8’s Go Red for Women campaign, we raised over $12,000 benefiting the lifesaving work of the San Diego American Heart Association. Go Red’s message is clear: when we all join together, we can touch hearts, save lives and make a real difference in the battle against heart disease and stroke. Mission Fed is proud to support Rady Children’s Hospital, helping raise funds and awareness during the Miracle Month of May. 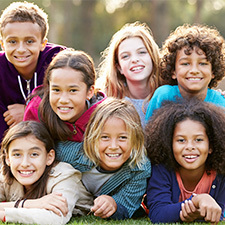 Part of Credit Union for Kids, Miracle Month of May includes participation by local and national credit unions, where our branches sell the famous paper Miracle Balloons for $1. Last year, Mission Fed raised over $23,300 and the Credit Union for Kids campaign raised over $1 million for Rady Children’s Hospital! With over 250,000 employees and 100 million members, the credit union community can make a HUGE difference in the lives of sick children…one dollar at a time. This page contains links for websites that Mission Fed does not control. 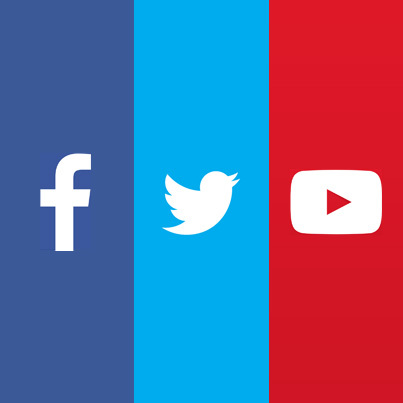 Mission Fed is not responsible and does not assume liability for the operations, content, links, privacy or security policies of third party websites. This past June, Mission Fed was excited to debut “Mission Hearts in the Community,” a campaign that solidifies our dedication to giving back to the community’s nonprofits and schools.